About: William Terry, P.A. is a solo-practitioner based in Vero Beach, Florida. 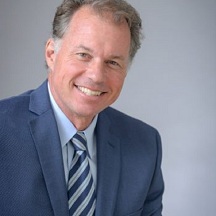 William “Bill” Terry has been in practice in Florida for over 25 years and has been awarded the distinction of Board Certification in Civil Trial Law by the Florida Bar since 2005. We focus on litigation against the insurance companies, representing people who own property and have claims against the companies. We represent those whose claims have been wrongfully denied as well as those whose claims have not been paid fairly or in full.